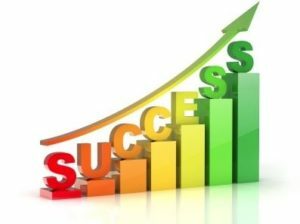 Steps for Success in Today’s Marketplace -Part I- KLA Industries, Inc. In this three-part series, we will be giving you our take on the “steps to success” for jobseekers, whether you are actively looking or just keep your eyes and ears open. Talking to hundreds of job seekers per week, we see excellent, well written resumes and we see poorly written ones that often get moved immediately to the trash. Companies are trying to choose the most qualified candidates from looking at a resume, which isn’t possible, but you can improve your own odds if you think like the hiring authority. There are three major components to the process; getting an interview, the interview process, and getting an offer that you will accept and not look back. We’ll look at getting an interview this week, and then how to nail it and get the Wow! offer over the next few weeks. Keep in mind that the resume is just your ticket to getting an interview. It will not get you an offer, and you’re not trying to tell your life story; save that for your autobiography someday. The resume is a tool to sell yourself, so get comfortable with that idea. Don’t exaggerate or embellish the truth, but emphasize the positive aspects of your education, experience, skills, and accomplishments to generate interest on the part of a potential employer. You are actually more likely to screen yourself out by providing too much information. At some point the reader (if they stick with it) will feel like they have learned enough about you to conclude you would not be right for the job. Also, the reader may start skimming because the resume is so long, thereby missing important information and getting the resume tossed into the “no” stack.